Everyone knows that red is the color of courage, yellow is the color of cheer and you're sad when you feel blue. And everyone knows army green when they see it, a shade that's synonymous with the American military. This Bayside Men's Army Green 5100 ARY USA-Made Co ... (see full details) (see specifications) #BAY5100ARY. Everyone knows that red is the color of courage, yellow is the color of cheer and you're sad when you feel blue. And everyone knows army green when they see it, a shade that's synonymous with the American military. This Bayside Men's Army Green 5100 ARY USA-Made Cotton Short Sleeve Work Shirt is made for civilians...but only the ones who have to work hard for a living. 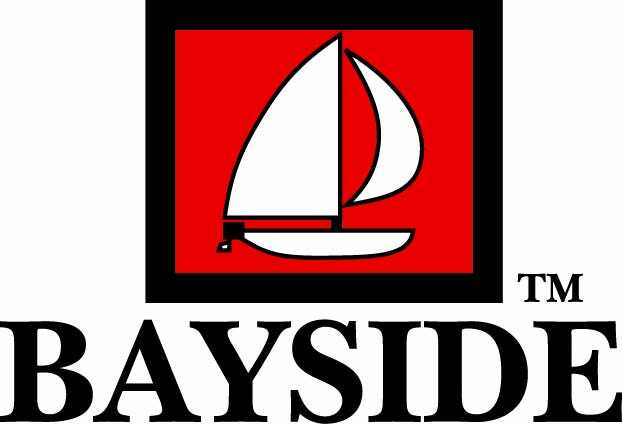 That's because this Bayside shirt isn't like those tee shirts you get in a plastic bag. This short-sleeved shirt is made to be tough and perform in even rigorous conditions. It's constructed with 6.1 ounce, 100% heavyweight cotton material. Natural cotton is touchably soft and comfortable against skin. Heavyweight cotton still feels good, but it's also very tough. It resists wear and tear, and stands up to the washing machine, so you can wash this American-made shirt as often as needed. The tough cotton material of this army green shirt has already been preshrunk, so you can put it in your dryer without fear. The full-cut design fits comfortably to give you room, both before and after it's been machine-washed. Shoulder-to-shoulder taping keeps the design feeling roomy and comfortable even across the back. Made in the USA, this men's shirt is built to last. Double-needle hems even keep the edges strong. Two threads, not just one, were used to create hems that are twice as strong as normal. Green is the color of comfort, strength and style. At least, it is in this Bayside Men's Army Green 5100 ARY USA-Made Cotton Short Sleeve Work Shirt. MY HUSBAND WAS GIVEN ONE OF THESE SHIRTS BY A CO WORKER WHO SEES ALL THE DIFFERENT LABLES OF CLOTHING THAT MY HUSBAND TRYS AND HOW ALL TEE SHIRTS END UP WITH THE SLEEVES CUT OFF, WHICH HAPPENS BECAUSE OF A DISCOMFORT FEELING NO MATTER WHAT BRAND, HE TOLD MY HUSBAND THAT THIS BAYSIDE SHIRT WOULD NOT REACH THE SLEEVELESS DESTINY, AND HONESTLY ITS BEEN ABOUT 4 MONTHS AND THE SLEEVES ARE WINNING. IM GUESSING ITS THE SHOULDER TO SHOULDER TAPPING MAKING A DIFFERENCE, I NEVER NOTICED OHER THT ADVERTISE THAT FEATURE. ASIDE OF THAT THESE SHIRTS ARE MENT TO TAKE A BEATING, WE PICKED UP 4 ADDITIONAL SHIRTS, LET ME TELL YA AT THE PRICE THEIR ASKING, THEY ARE GIVING THEM AWAY!! WASH AND DRY AMAZINGLY. I like to give this t-shirt out for gifts to my coworkers when their birthday rolls around. I also wear them myself so I think that the quality and value can't be beat. I have one that has lasted for over a year now and yes it is faded but still holds up and doesn't have any rips, tears or shrinkage. As an army veteran anything that says Army has my attention and most of the time I will get it. I love the color because it use to match my old BDU's and reminds me of the good old days. This is about as army strong as you can get and I am sure for a small ten dollar investment you won't be disappointed. Bayside Shirts: Men's Army Green 5100 ARY USA Made Cotton Work Shirt is being added to your cart.